Rate my red marks removal regime! Yo, so Ive 3 weeks left on accutane (which has worked wonders) but Its looking like I'm gonna be left with red marks on my back. After reading around, Ive come up with a regime that will hopefully help them fade. Supplements: Zinc, Vitamin C & I'm also gonna try Apple Cider Vinegar, 1 table spoon in morning and one at night, in some orange juice. I'm going to be honest with you. 90% of the things you read on this forum is just useless. Taking vitamin c, zinc and ACV will have very little or no impact on the red marks. Aloe Vera gel isn't that good for red marks either and can get very sticky. In most cases I would recommend some exfoliation, Dan's AHA f.ex, but since you are on Accutane just finish your course and be patient. I dont expect miracles, but surely taking vitamins that are known to increase skin regeneration and healing ability cant be a bad thing. I drink ACV and I haven't seen an improvement with red marks but it helps reducing breakouts. Good luck with your regimen, I think the aloe vera could help you! where did you find the 99.9% one? You can get it in the pharmacy's in Ireland. Hey, tell me how it works, I'm just starting the same thing as you are. I'm almost 2 months off accutane. I'm taking Zinc and just to stop any small oil production, I'm doing semi-large doses of B5. 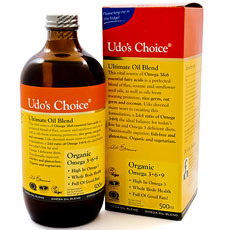 I'm also taking udos oil and vitamin E. AND I'm doing the baking soda/cider vinegar/egg white routine. Will let you know how it works out. Any updates? I'm taking 50mg of Zinc a day, 2 grams of B5 in hope of keeping my acne at bay (I just recently got off accutane), and a small amount of Vitamin C.
Oh come on, thats not true! If you really think we are useless, why are you here? I'm not being negative I'm just pointing out the facts. People get desperate when having acne and try new things in hope of clearing the red marks. I've been there and read thru most of the regimens in the "Red marks section" and even tried most of the things. In the end most people use money on drinking lemon juice and ACV, putting on Jojoba, moistrurizers etc. and find out after a while that nothing really works that good. Just buy a decent AHA or SA product, use it every day and be patient. Or do nothing at all.